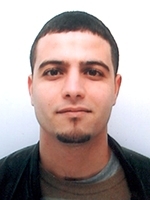 Guettaf Abderrazak was born in Biskra, Algeria on November 28th, 1977. 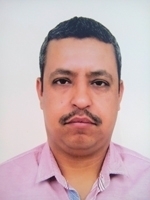 He received the Engineer and Magister diploma and PhD degree in electrical engineering from University of Biskra in 2002, 2005 and 2013 respectively. His research interests are focused on design and fault analysis of switched reluctance and permanent synchronous machines. 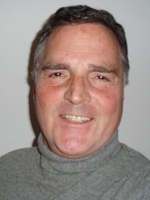 Currently, Mr. Guettaf is an assistant professor with the University of Biskra. Acácio Amaral was born in Luso, Angola, in 1974. He received the Electrical Engineering diploma, the MSc degree and the Dr. Eng. degree all from the University of Coimbra, Coimbra, Portugal, in 1998, 2005 and 2011 respectively. 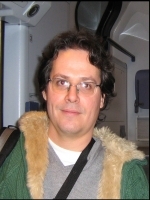 Since 1998, he has been with the Polytechnic Institute of Coimbra, where he is currently an Assistant Reader in the Department of Informatics and Systems. His research activities include fault diagnosis and design of switch-mode power supplies, with emphasis on the consequences of aging of electrolytic capacitors, as well as the development of solutions to this problem. Ali Arif was born in Biskra, Algeria on June 19th, 1967. 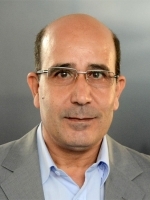 He received the Engineer, MSc diploma and PhD degree in electrical engineering from the University of Biskra, Algeria, in 1992, 2003 and 2013, respectively. His research interests are related to Renewable Energies; Photovoltaic, Supercapacitor, Fuel Cell and Power management of electric vehicle. 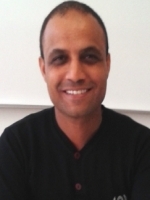 Currently, Dr. Arif is an assistant professor with the University of Biskra, Algeria. 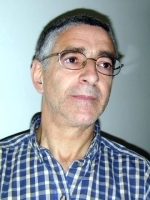 Vicente Leite received the diploma, MSc and PhD degrees in Electrical Engineering, from the Faculty of Engineering of University of Porto, in 1993, 1997 and 2004, respectively. He became Assistant Professor at School of Technology and Management (ESTiG) of Polytechnic Institute of Bragança (IPB) in 1994 where he is professor in the field of Electronics, Power Electronics and Converters, Electrical Drives and Photovoltaic Systems. Currently, he is Sub-director of the ESTiG-IPB. Previously, he was President of the Scientific Council, President of the Assembly of Representatives, and Coordinator of the Electrical Engineering Department. 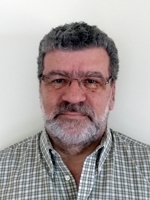 He is the author of more than three dozens of publications in his research fields, namely: power electronic converters; system identification, control and condition monitoring of electric machines and drives; renewable energies systems. He has participated in four projects funded by the European Community. 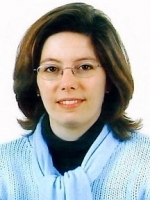 Ângela Ferreira received the Electrical and Computer Engineering Diploma, the MSc and PhD degrees from Faculty of Engineering of University of Porto, Portugal, in 1996, 2001 and 2012, respectively. 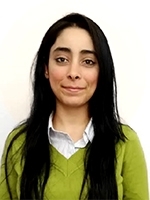 Her research interests are focused on design and modelling of novel permanent magnet machines and optimization of energy conversion systems using renewable energy sources. She has been with Polytechnic Institute of Bragança, at the Department of Electrical Engineering, since 1997. Her teaching activities are in the scientific areas of Electrical and Fundamental Sciences, Electrical Machines and Power Systems. Carlos Cabrita was born in Lisbon, Portugal on July 2, 1951. He received the E. E. Diploma and the PhD on E. E. from the Technical University of Lisbon, Lisbon, Portugal, in 1976 and 1988, respectively. 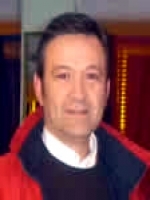 He was been with Technical University of Lisbon, from 1978 to 1996. 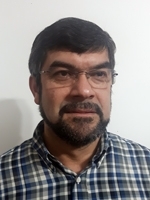 He has been with the University of Beira Interior since 1997, where he is currently Full Professor in the Department of Electromechanical Engineering. His research interests are focused on electrical machines design and maintenance processes. 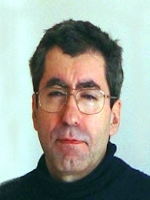 He has published about 250 papers in technical journals and conference proceedings. 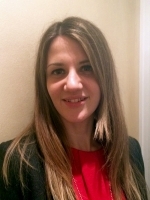 Chiara Boccaletti received the Laurea degree in Mechanical Engineering and the PhD degree in Energetics from Sapienza University of Rome, Italy. 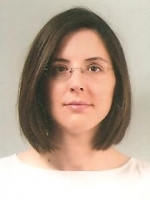 She is currently an assistant professor at the Department of Astronautics, Electrical and Energetic Engineering of the Sapienza University of Rome, and obtained the national Habilitation degree for Associate Professor. 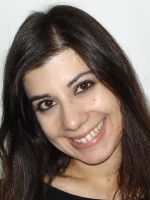 Her research interests include design, analysis and optimisation of electrical machines, condition monitoring and diagnostics of electrical machines and drives, and systems based on renewable energies. She is co-author of two books and author of about 100 papers published in technical journals and conference proceedings. 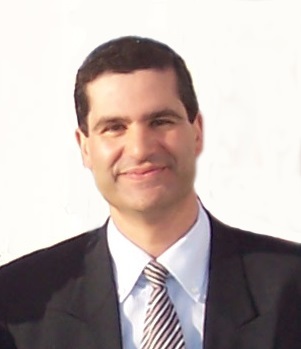 Fabiano F. Costa (M’07) received the BSc degree in electrical engineering from the University of São Paulo, São Paulo, Brazil, in 1997, the MSc degree in electrical engineering from the Federal University of Paraíba (UFPB), Campina Grande, Brazil, in 2001, and the PhD degree in electrical engineering from the Federal University of Campina Grande (UFCG), Campina Grande, Brazil, in 2005. Currently, he is an Assistant Professor with the Department of Electrical Engineering, Federal University of Bahia, Salvador, Brazil. 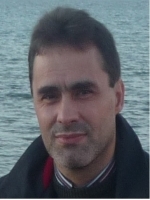 His current research interests include the application of control techniques for grid-connected converters, PLL algorithms and islanding protection. Imed Jlassi was born in Tunis, Tunisia, in 1984. He received the BSc, MSc and PhD degrees in electrical engineering from the Ecole Nationale d’Ingénieurs de Tunis (ENIT), Tunisia, in 2009, 2011 and 2016 respectively. 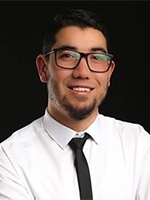 He is currently a postdoctoral researcher at CISE – Electromechatronic Systems Research Centre, University of Beira Interior, Covilhã, Portugal. 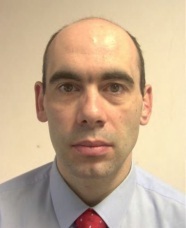 His main research interests include drive control of electric machines, fault diagnosis and fault-tolerant control of AC motor drives and wind turbine systems. 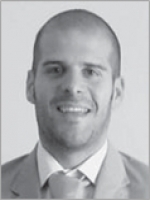 João Monteiro holds a degree in Mechanical Engineering and a MSc in Aerodynamics from the Faculty of Science and Technology of Coimbra University and a PhD in Aeronautics from the University of Beira Interior. His main research interests are related to micro generation energy systems. Currently he is a Professor at the Electromechanics Department of the University of Beira Interior. Khaled Yahia was born in Biskra, Algeria in 1980. He received the BSc, MSc and PhD degrees in electrical engineering from the University of Biskra, Algeria in 2002, 2005 and 2012, respectively. Currently, he is a Professor at the University of Biskra. His research interests are focused on condition monitoring of AC motors and energy efficiency in AC variable speed drives systems. Khaled Laadjal was born in Tebessa, Algeria, in 1991. 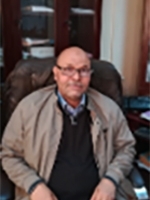 He received the BSc, MSc and PhD degrees in Electrical Engineering from the University of Biskra, in 2013, 2015 and 2018. His research interests are related to condition monitoring and fault diagnosis in power electronics systems and AC machines. Mohamed Yacine Hammoudi was born in Biskra, Algeria on October 5th, 1980. He received the Engineer and Magister diploma and the PhD degree in electrical engineering from the University of Biskra, in 2003, 2006 and 2015, respectively. 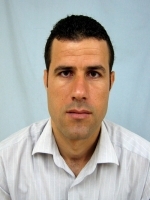 Mr. Hammoudi is an assistant professor with the University of Biskra since 2009 and he is a member of the MSE Laboratory. 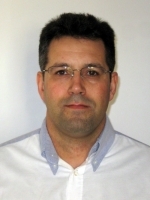 His research interests are related to advanced control in power electronics systems and AC machines. 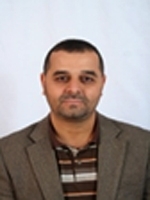 Mohamed-Yacine Ayad obtained the MSc and PhD degrees in Electrical Engineering from ENSEM-INPL, France in 1999 and 2004. From 2004 to 2007, he was working as research assistant at the University of Technology at Belfort and Montbéliard (UTBM), France. Since 2007, he has been working as R&D in Hybrid Vehicle Industrial Applications. Currently, he is International Responsible of Development at Groupe PSA, France. His main research is in the field of power electronics, modelling, nonlinear control and energy management in embedded, smart and micro grids systems applications using battery, supercapacitor, fuel cell, WDG and PV sources. Ramzi Saadi was born in Biskra, Algeria on June 20th, 1987. He received the BSc and Master diploma and the PhD degree in electrical engineering from the University of Biskra, in 2008, 2010 and 2015 respectively. 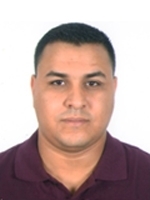 Mr. Saadi is an Associate professor with the University of Biskra since 2015 and he is a member in the MSE Laboratory. His research interests are related to Renewable Energies; Fuel Cell, Energy Management, Electric vehicle and DC/DC Converter. Rui Pitarma received the Mechanical Engineering diploma degree from University of Coimbra, Portugal, in 1988, and the MSc and PhD degree in Mechanical Engineering Engineering from Instituto Superior Técnico - Technical University of Lisbon respectively in1992 and 1998. His main research interests are related to building air conditioning, energy and air quality. Currently he is a Professor at the Polytechnic Institute of Guarda. Sejir Khojet El Khil was born in Tunis, Tunisia, in 1977. In 2001, he received the electric engineering diploma from the Ecole Nationale d’Ingénieurs de Tunis (ENIT) and the PhD degree from the Ecole Nationale d’Ingénieurs de Tunis, Tunisia and the Ecole Nationale Polytechnique de Toulouse, France in 2006. 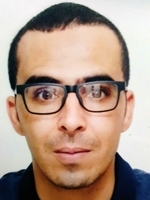 Since 2008, he has been an assistant professor at the Institut Supérieur des Etudes Technologiques en Communication de Tunis (Iset’Com). His main research areas include fault detection and fault tolerant control of electrical drives and telecom power supply. Victor M. F. Mendes received the Dipl. Electrical Engineering, MSc and PhD in Electrical and Computer Engineering from ISTécnico at the UL - University of Lisbon in 1977, 1987, 1994, respectively, the Habilitation from the University of Beira Interior in Electrical Engineering, 2007. 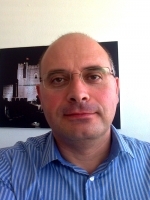 Since 1977 he is with ISEL – Instituto Superior de Engenharia de Lisboa, where he is a Coordinate Professor, head of the Energy and System Division, and since 2012 he is an invited Full Professor at the School of Science and Technology, UEvora - University of Évora. Previously: at ISEL, Vice-President of the General Assembly of School, Coordinator of the Centre for Instrumentation and Control, Chairman of the Board of Library, Vice-president of the Department of Electrical Engineering and Automation, head of the Economic and Management Division, President of the Departmental Area of Engineering Power Systems and Automation, Coordinator of the Committee for the Master in Electrical Engineering - Energy and Electronic Automation; at the ISMAG - Institute of Mathematics and Management, Full Professor of Electrical Engineering; at the ULHT - Lusophone University of Humanities and Technologies, Full Professor Director and Supervisor of the Graduate Course in Electrical Engineering; at the Association of Portuguese Polytechnic Institutes, member of the Council of Evaluation; at the Foundation for Science and Technology Portugal, PhD and postdoctoral evaluator fellow. His research interest includes mathematical programming, power systems and operation; renewable energy; power electronics, market support managing systems. He is author of around 300 papers published in technical journals and conference proceedings. Anouar Boukhlouf was born in Batna, Algeria, in 1991. 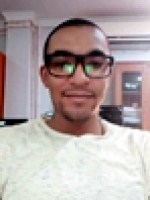 He received the BSc and MSc degrees in Electrical Engineering, both from the University of Biskra in 2015 and 2017. 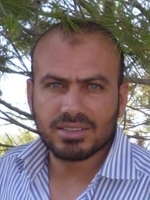 Currently he is a PhD Student at the University of Biskra. His research interests are focused on control and condition monitoring in AC machines. 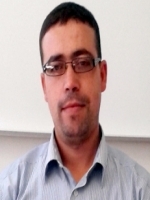 Figueiredo Ramos received the Mechanical Engineering diploma and the master degree in Industrial Engineering, both from the University of Coimbra (Portugal). 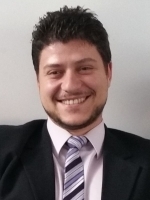 He is currently a PhD student in Industrial Engineering and Management at the University of Beira Interior (Portugal). He is a professor at the Polytechnic Institute of Guarda (Portugal). His research interests include renewable energies and energy systems. Cristina Moscatiello was born in Rome, Italy in 1990. She got her Bachelor Degree and MSc Degree in Energetic Engineering at Sapienza University of Rome, where she is currently a PhD Student. Her research interests are focused on Nuclear Energies, Renewable Energies and Home and Building Automation. 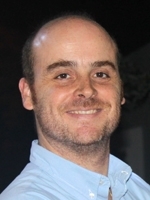 Fernando Bento received both the BSc and MSc degrees in Electric and Computer Engineering from the University of Beira Interior, Covilhã, Portugal, in 2014 and 2016, respectively. Currently, he is a PhD student in Electric and Computer Engineering at the same institution. His scientific activities focus efficiency analysis, fault detection and fault tolerance in electronic power converters, namely DC-DC power converters. 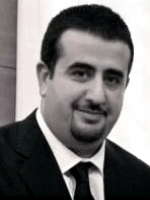 Mahdi Sabouri was born in Zanjan, Iran, in 1985. 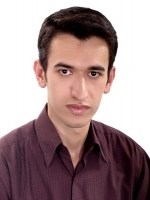 He received MSc degrees in Electrical Engineering from the University of Zanjan, in 2012. Currently he is a PhD Student at the same university. 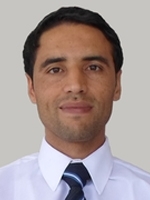 His research interests are related to condition monitoring and fault diagnosis in 3-phase induction motors. Meriem Dardouri was born in Tunisia, in 1990. She received the BSc degree in electronics engineering from the Ecole Nationale d’Ingénieurs de Sousse, Tunisia, in 2014. 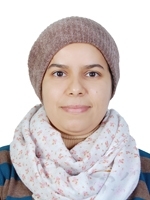 She is currently working toward the PhD degree with the Laboratoire des Systèmes Electriques, Ecole Nationale d’Ingénieurs de Tunis, Université de Tunis El Manar, Tunis. Her main research interests include photovoltaic-thermal energy conversion systems and fault tolerant control of power converters. Nourredine Djemai was born in Batna, Algeria, in 1972. 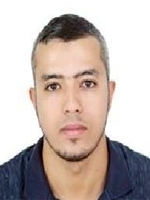 He received the BSc and MSc degrees in Electrical Engineering from the University of Batna, in 2015 and 2017. 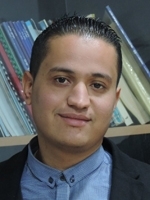 Currently he is a PhD Student at the University of Biskra. 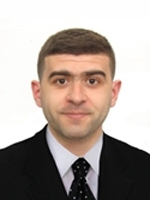 His research interests are related to analysis and optimization of power management EV. Salah Merabet was born in Biskra, Algeria on May 20th, 1979. He received the Engineer degree from the University of Biskra in 2003, and the Magister diploma from the University of Batna in 2013. His research interests are focused on design and fault analysis of permanent magnet synchronous machines. 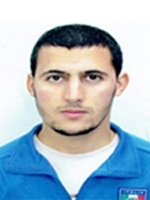 Currently, Mr. Merabet is a PhD Student at the University of Biskra.